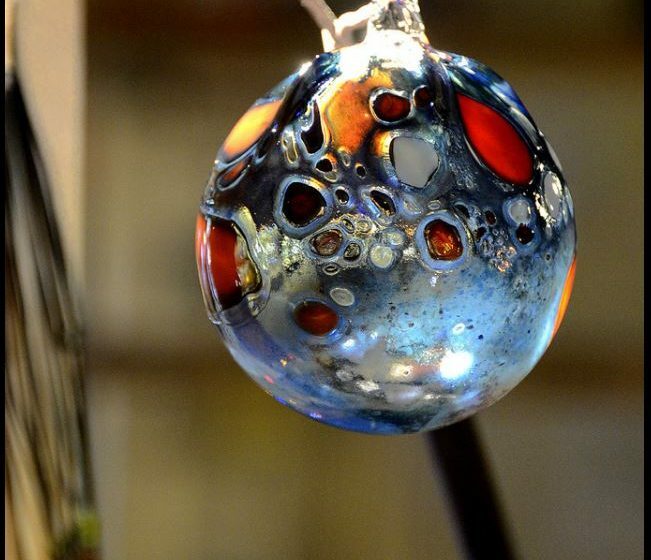 On the occasion of Christmas, we wanted to evoke, as a neighbor, the superb work of the glassblower, Eric Simonin, based in Brantôme near Nontron. At the end of the year at the Nontronnaise Cutlery, we are happy to be able to give a hat trick to Eric Simon, an artist-artisan with whom we share the same values of attachment to this beautiful territory that is Périgord Vert, transmission of know-how and reinterpreted techniques. It is at Cerfav (European Center for Research and Training in Glass Arts) in Vannes le Châtel in Lorraine, that Eric Simonin is trained in various techniques: blow molding, torch work, thermoforming, glass paste, stained glass and finishing, discovering soon enough that his natural interest brings him to traditional glass-blower techniques. 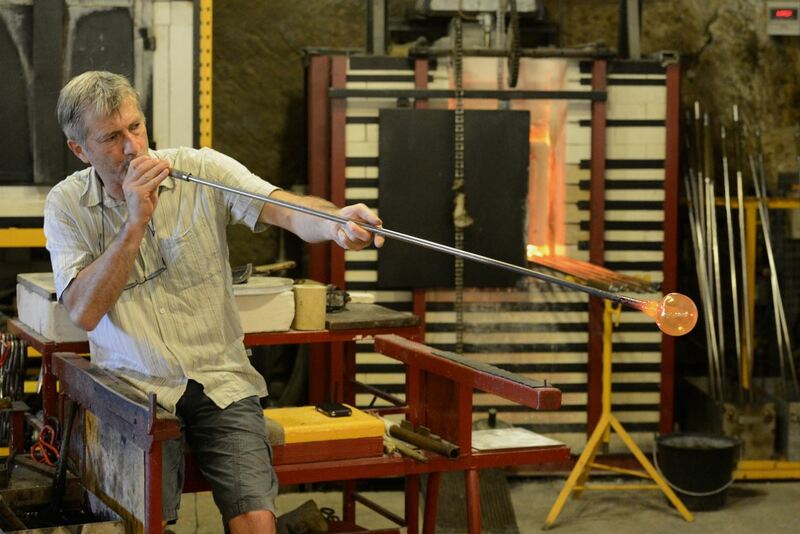 He completed his training in the glassworks of Hartzviller in Alsace before joining the master glassmaker, Best Worker of France, Alain Guillot who helps him to refine his learning. Working as before with the cane, Eric Simonin dyes his glasses by powdering them with colored pigments before baking them in the different ovens. Sculptor, inventor of forms, he creates original creations, astonishing and refined: “The Jellyfishes”. To pragmatic enthusiasts of beautiful things, he also proposes Christmas balls with beautifully unusual decorations to make the tree shine with a thousand lights. Today, Eric Simonin delights young and old in the workshop that he opened in one of the caves of the beautiful city of Brantôme, close to Nontron, land of knives.